A profound and beautiful collection of intimate writings, Henry J.M. 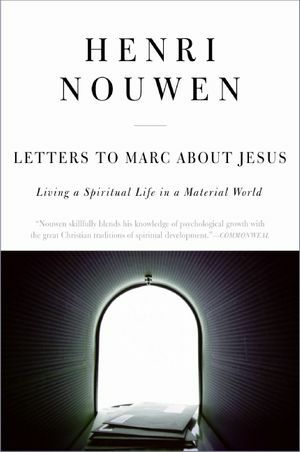 Nouwen’s Letters to Marc About Jesus recalls the author’s correspondences with his teenage nephew, a boy struggling with issues of faith and spirituality in an apathetic age. The much-beloved author of The Wounded Healer and With Open Hands—named alongside such notables as C.S. Lewis and Thomas Merton as one of the most important Christian writers of the 20th century—Nouwen writes from the heart in the deeply personal Letters to Marc About Jesus, as he imparts a powerful wisdom born of an unassailable faith.